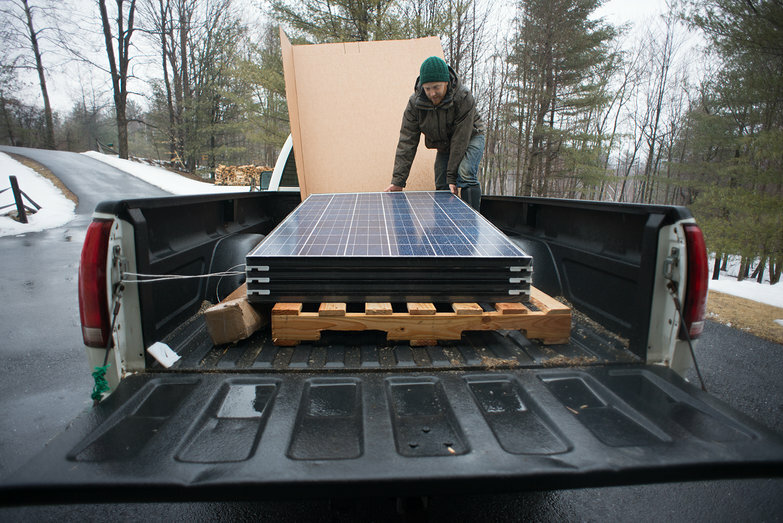 The first round of components for our off-grid power system arrived today! We now have six REC PE245 solar panels waiting to be mounted on the roof of our solar shed, an Outback FM80 charge controller to regulate their output, and a bunch of assorted equipment to hook the two together. Time and weather permitting, we'll be posting about their installation soon! 2008 - What's the Skinny?